With the next stages of the McKinley Beach community underway, we encourage everyone to venture out and see how things are developing. Visit our new showhome, tour the site, check out the 92-slip marina, and walk the hiking and biking trails around the community to take in some of the beautiful views! Builds strength in glutes, quadriceps, hamstrings, and the muscles in hips and lower legs. 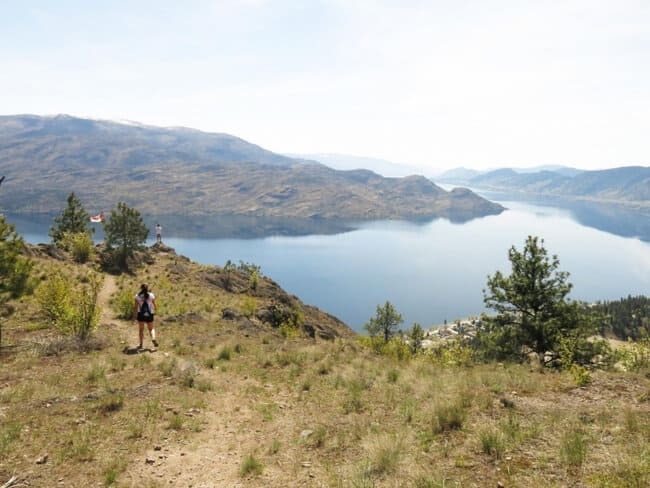 This beautiful hike takes you around the Rose Valley trail network and climbs up McDougall Rim in a challenging ascent that provides breathtaking views of the Okanagan Valley. You’ll pass under a rock archway and encounter a giant rock monolith on your travels. Pincushion Mountain in Peachland is great for an early morning hike. The trails are moderate to difficult with loose gravel so be sure to wear the proper footwear and use caution. Once you reach the peak, you’ll be rewarded with beautiful views of the valley stretching away to the north and south. This hiking trail used to be more difficult with rope-assisted areas to help hikers ascend and descend the steeper areas. Since that time the City of Kelowna removed all the ropes and updated the trail so it’s fully accessible for everyone to enjoy. 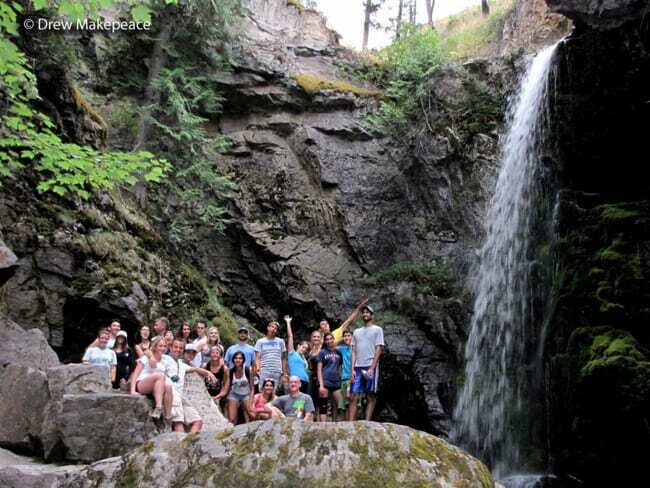 The various falls you’ll encounter during the hike make this a picturesque and worthwhile hike. 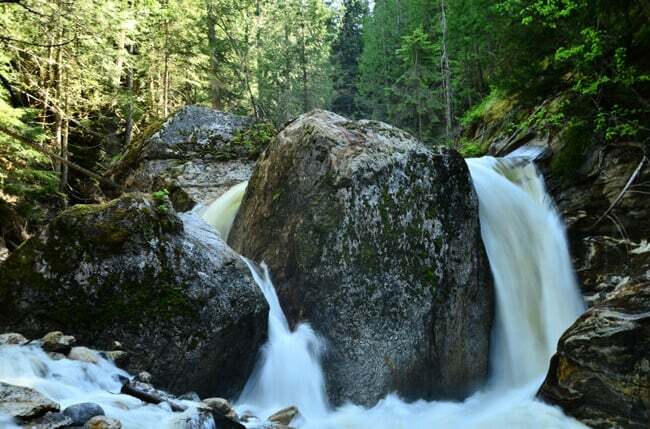 Sicamous Creek Falls provides hikers with a dense and heavily forested trail system with scenic falls and some steep trails that provide a challenging and adventurous hike into nature. 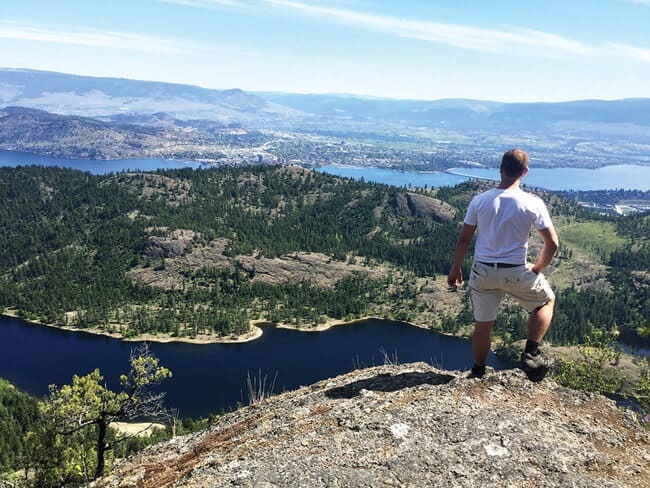 Enderby isn’t just famous for its drive-in movie theatre and amazing fish and chips, they also have a challenging hike that offers stunning views of the Shuswap. 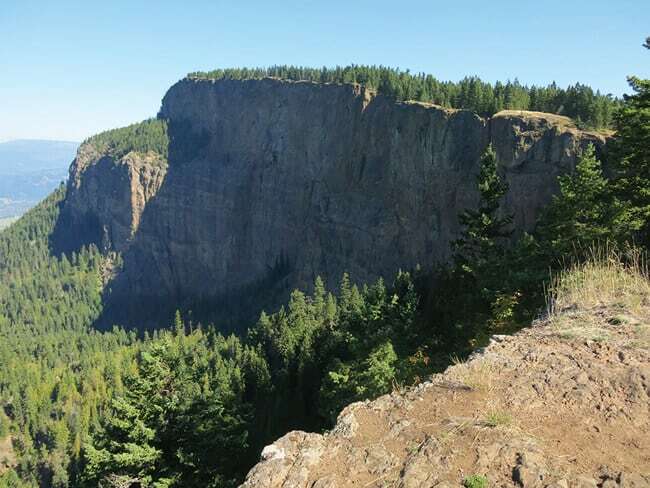 The Enderby Cliffs overlook the city of Enderby and can be seen from the highway.